Today as I was driving to work, I was pulling out of the local Sonic where I get my sweet tea for the day and I was waiting for the stoplight to turn to green. It was then that I saw her! She was certainly hard to miss because of her tight hot pink zebra print yoga pants and her matching top. She was bright! She was noticeable and I am so glad she was in my path this morning because she brought me some much-needed encouragement. You see, this young lady I saw was severely overweight. By medical definition, she would be considered morbidly obese, yet there she was—jogging down Main Street! Did I mention she was wearing a tight, hot pink zebra print yoga outfit? This girl had her iPod in one hand, a water bottle in the other, and determination written on her face! She had to wait at the same stoplight where I was waiting, but did she come to a halt and just stand there waiting for the light to turn green? NO! She continued to jog (in place) while waiting for the light to change. I am telling you, this girl was on a mission! She was making change happen in her life! 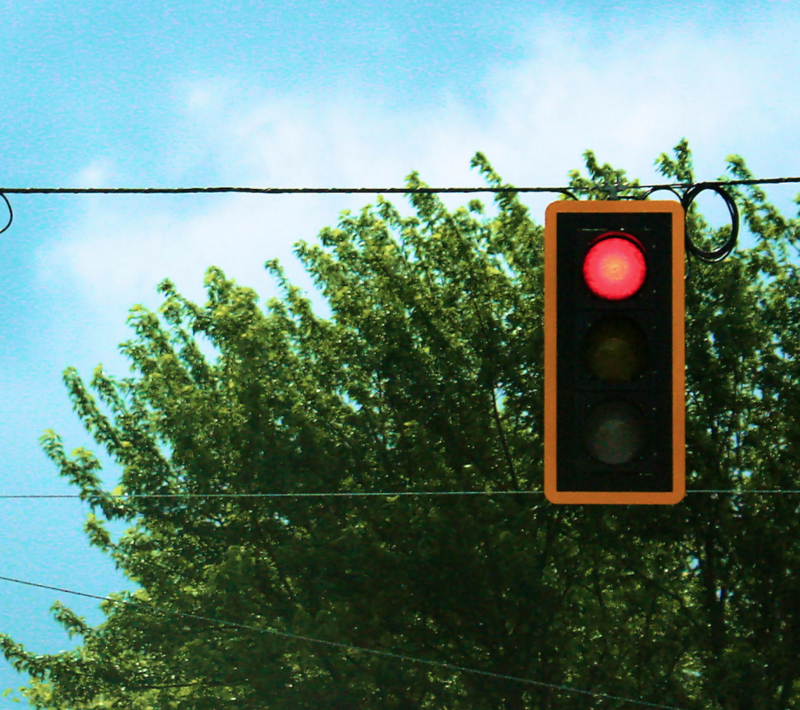 As the light turned green and I continued on my way….this girl made me think about my life. She made me question my determination when the odds are stacked against me. She encouraged me to be more determined to run the race God has set for me to run. Are you headed somewhere in your life? Are you on a mission for God? Are you running your race determined to fulfill your calling? I wonder if you are geared up and ready to make change happen for the better around you. Maybe like me, you sometimes forget to attack life with this kind of attitude. You and I cannot let the world define our successes. We cannot allow the world to make us feel defeated. If you and I are not grounded in God’s Word, we can get stuck right where we are and we accept our current circumstances. We can believe the lies of the enemy that there is too much stacked against us. God says we are more than conquerors through Him (Romans 8:36). The young lady I saw this morning has a lot stacked against her. She could easily feel that she is too overweight to go for a jog. She could worry about how people will perceive her. She could come up with all kinds of excuses on why she cannot get out and get moving this morning…but she didn’t. Instead, she went and bought herself some cute workout clothes and got busy running! Be encouraged today my friend— God has work for you to do. You are not supposed to fit in. (Romans 12:2) God wants you to shine! He wants you to effect change for the better! Let’s stop being complacent with where we are in our spiritual journey….let’s get out there and run our race! Hoping you have a fantastic day! I got a kick out of this post! I totally know the Sonic you were at in High Point! Keep running your race, sweet girl! You are an encouragement to me and SO many others. Great encouragement for today !